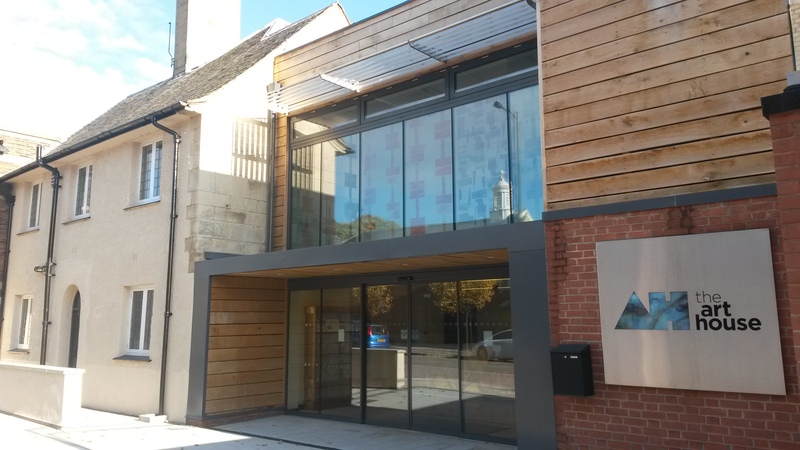 Based just a stone’s throw from Wakefield Westgate station, The Art House provides time, space and support for artists to develop their work and connect with audiences. We occupy two adjoining buildings, the beautifully restored 1906 Carnegie Library, which we converted into artists’ studios and a publicly accessible project space in 2015, and a connecting purpose-built studio building that opened in 2008. We value diversity within contemporary arts practice, and our whole building is exemplary in terms of physical access to reflect this inclusive approach. Over 40 creative businesses are based here, where artists engage with media as diverse as music production, graphic design and photography, to printmaking, painting, ceramics and textiles. You can see some of their work on our website. We take part in the regular Wakefield Artwalk, where you can come and meet some of our artists, see their work, and take a look at what the building has to offer. The next Artwalk is on Wednesday 25 November from 5 – 9pm. It’s a great opportunity to experience Wakefield’s creative life, as many cultural venues and artist-led spaces around the city open up for the evening. 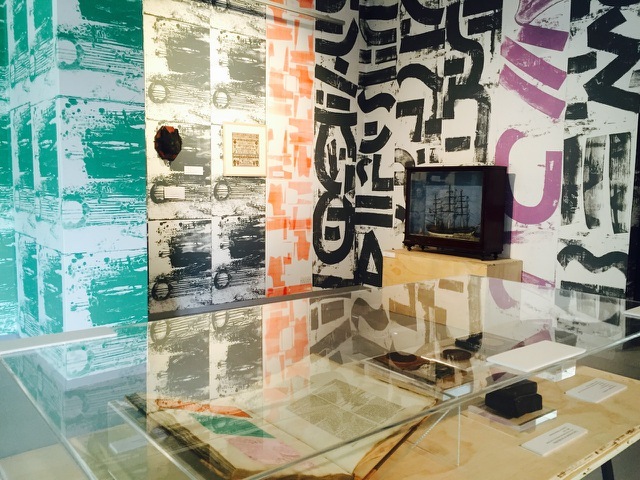 In our Project Space at the moment you can see an exhibition that links artistic production today with the arts and manufactures of Wakefield’s industrial past: a commissioned wallpaper installation and exhibition celebrating the 150th anniversary of the Wakefield Industrial and Fine Art exhibition of 1865. This was one of many such exhibitions held nationally following the Great Exhibition of 1851 in London. The wallpaper has been created through a collaboration between textile designer and studio holder Laura Slater and graphic designer Fraser Muggeridge, whose design work for British Art Show 8 can currently be seen in Leeds. The artists took small details of the 1865 exhibition poster, enlarged them so that they became abstract shapes, and printed them onto a bespoke wallpaper which flows across the walls. The wallpaper is paired with items kindly loaned by Wakefield Museum, selected to illustrate just some of the many objects in the original show. The exhibition is open Monday – Friday, 10am – 4pm and on Artwalk night from 5pm – 9pm. To find out more about this and other events please visit the What’s On section of our website. Our artistic programme is as much about giving artists opportunities to develop their practice, explore and experiment as it is about exhibiting finished work. We are focused on exploring the process of making good art and artists’ practices, rather than the finished work itself. Alongside studio space we support artists through residencies, mentoring and professional development. 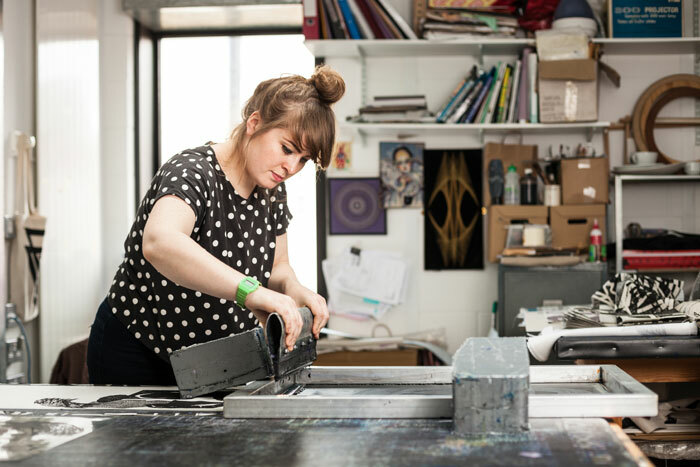 Our facilities include a dedicated Print Workshop with screen-printing equipment, etching press, and laser-cutter, all available for hire by members and non-members. We have a legacy of working with - and providing support for - disabled artists: it's where we started and equality is something we are really passionate about. Amongst our current studio holders are Inspire Arts Group, who run drop-in, peer-led workshops for those who have had or experience mental health issues. We’re passionate about removing any barriers that prevent artists from progressing, and believe that artists need support right through their careers. We believe we’re building a unique creative community, right here in the heart of Wakefield.